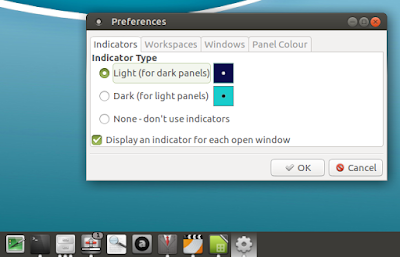 MATE Dock Applet is a MATE Panel applet that displays running application windows as icons. The applet features options to pin applications to the dock, supports multiple workspaces, and can be added to any MATE Panel, regardless of size and orientation. The latest MATE Dock Applet 0.74, released today, includes a feature requested by some of you: it can now display Unity-like progress bars and badges on top of the icons, for applications that support this. You can see this in action, in the screenshot above, for Transmission. Transmission doesn't come with Unity Launcher badge/progress bar support by default - if you want this feature for Transmission, see THIS article. when starting to drag an app icon, the window list is now hidden (note: MATE Dock Applet supports drag and drop for moving dock icons only if it's built with GTK3, like for Ubuntu MATE 16.10 Yakkety Yak, in both the official repositories and WebUpd8 MATE PPA). Important: For window minimizing and maximizing to work correctly under Compiz, the Focus Prevention Level setting must be set to off (this can be done from CompizConfig Settings Manager, under General Options > Focus & Raise Behaviour). For other Linux distributions, see the MATE Dock Applet installation page.